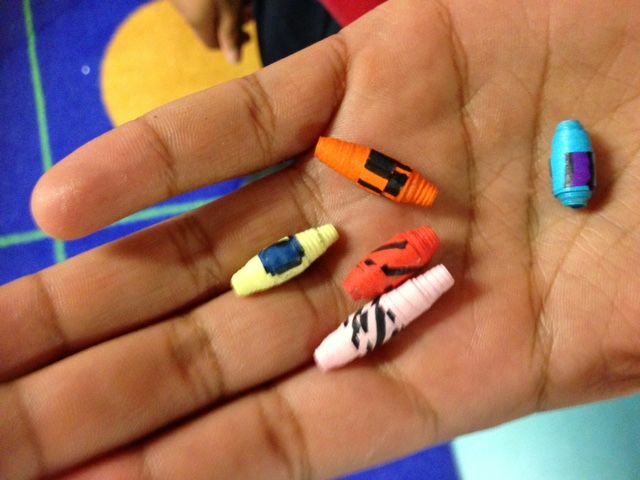 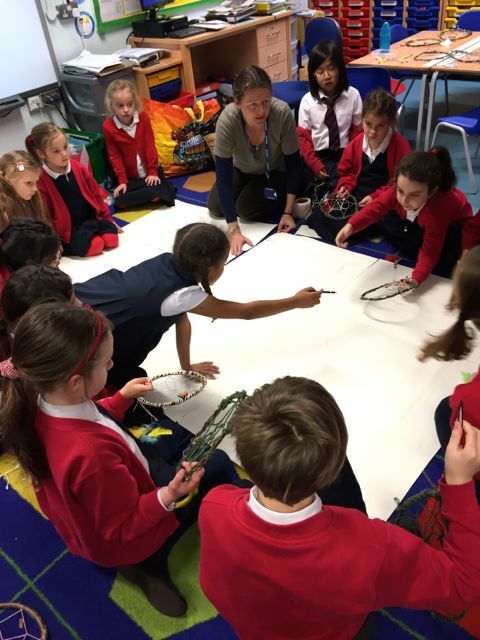 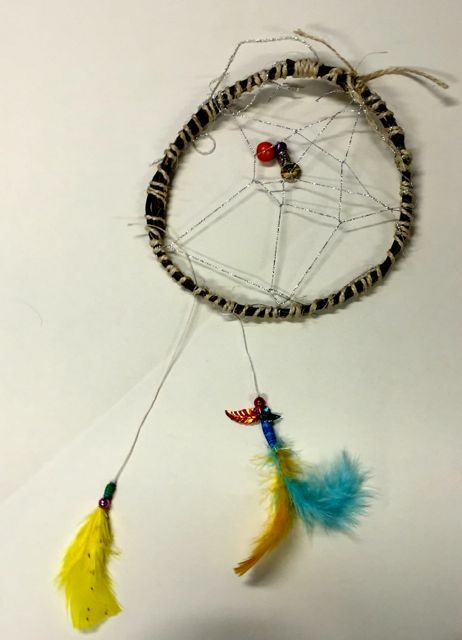 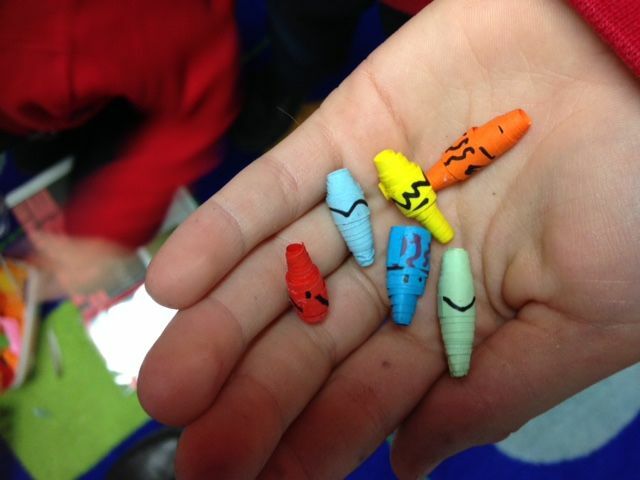 To conclude this terms work on the Fibonacci sequence – where we have explored nature and mathematical sequencing in art with children at Pelham school; the children made paper beads with secret messages hidden inside to add to their dream catchers. 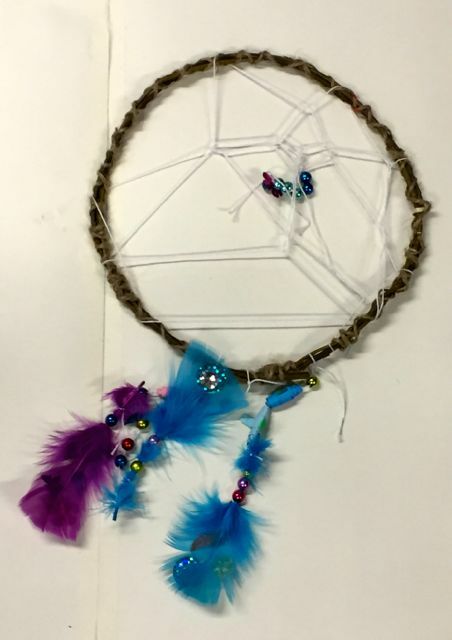 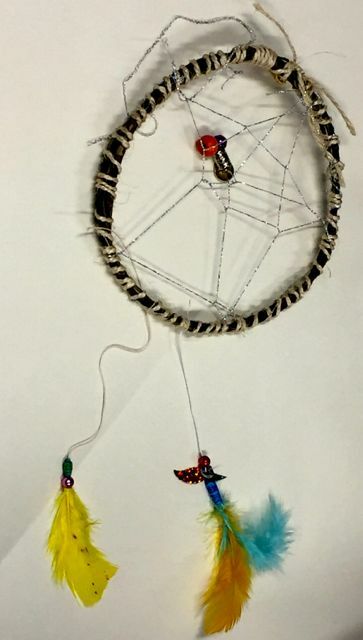 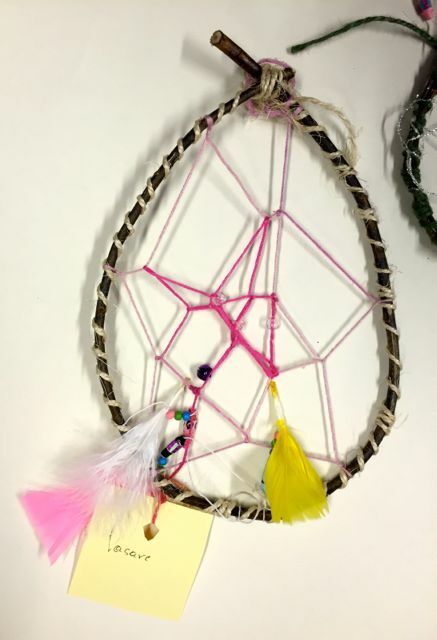 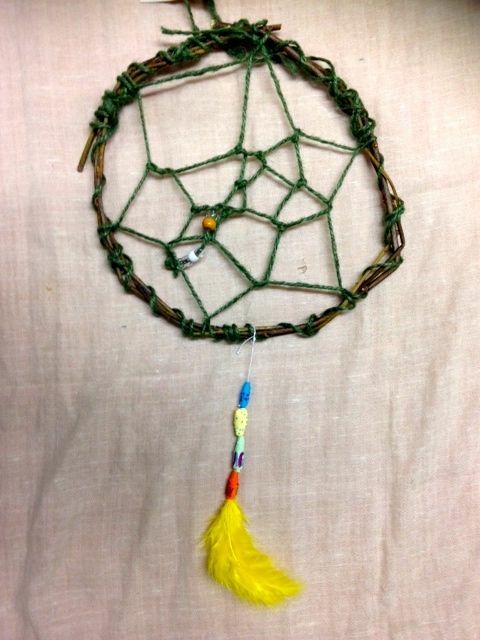 The finished dreamcatchers were beautiful - they could look lovely hanging above your child’s bed to catch their dreams at night! 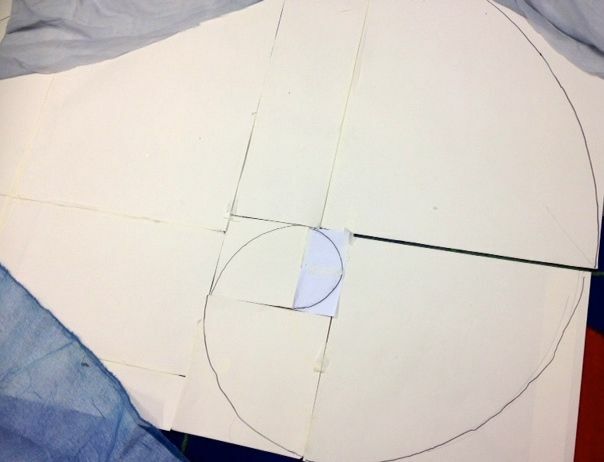 Our model of a galaxy has not quite materialised yet but it was a good way of recapping ideas explored about the Fibonacci sequence explored in earlier sessions this term. 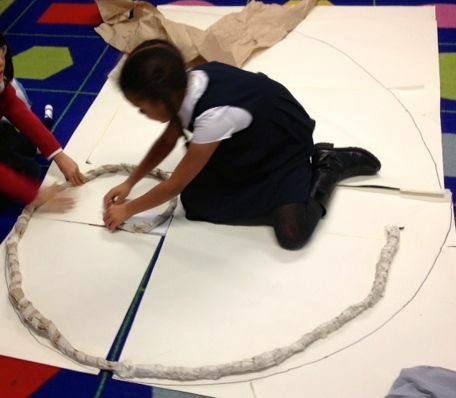 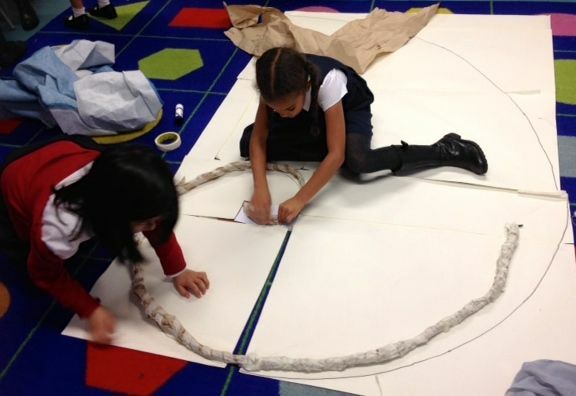 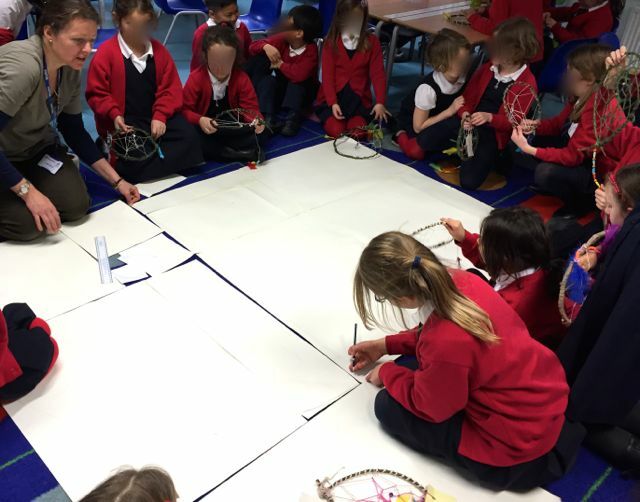 The children also got to see how large circles and spirals can be drawn with the help of a pencil attached to a string. 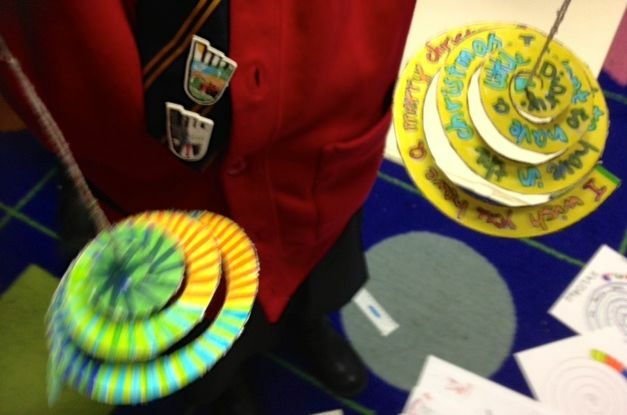 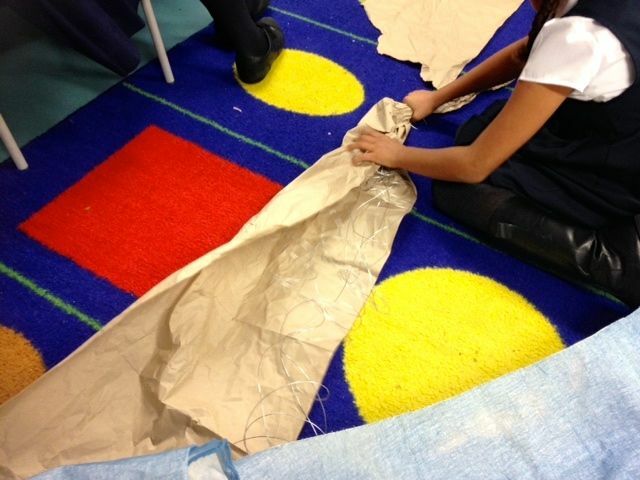 Some children were keen to work on a big spiral with wire, paper and masking tape and were enjoying experimenting with new materials. 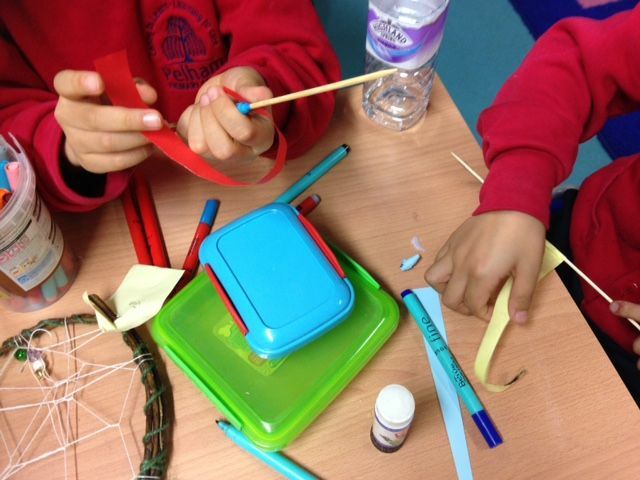 In the meantime everybody worked on little paper spirals turning them into Christmas tree decorations. 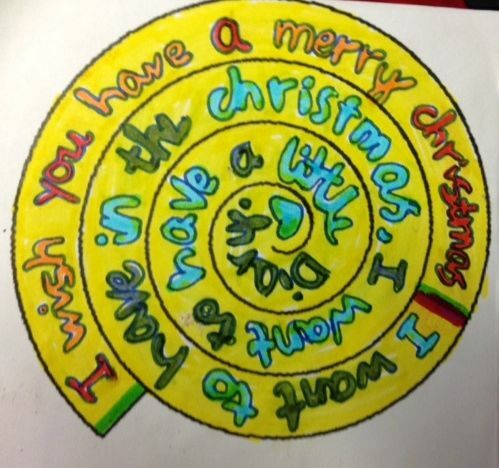 The children wrote messages into the spiral template and decorated it with colourful patterns. 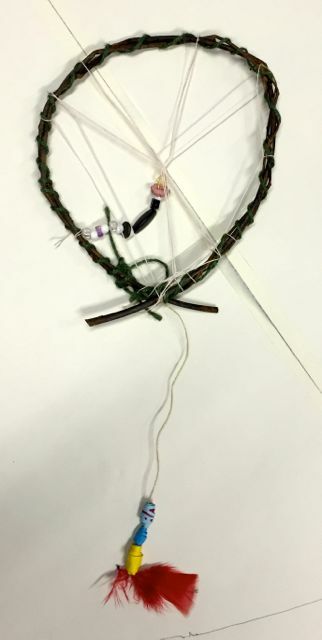 They then glued it to silver card, cut along the line all the way into the centre and attached a little silver string at the top. 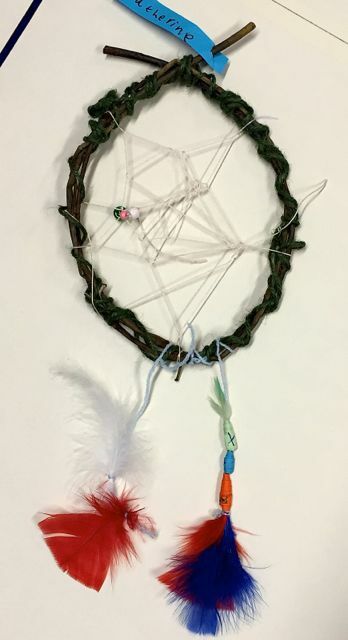 Thank you to everyone who has participated in our thriving art club this term – we wish you a very Merry Christmas and hope you catch and make all those dreams come true!